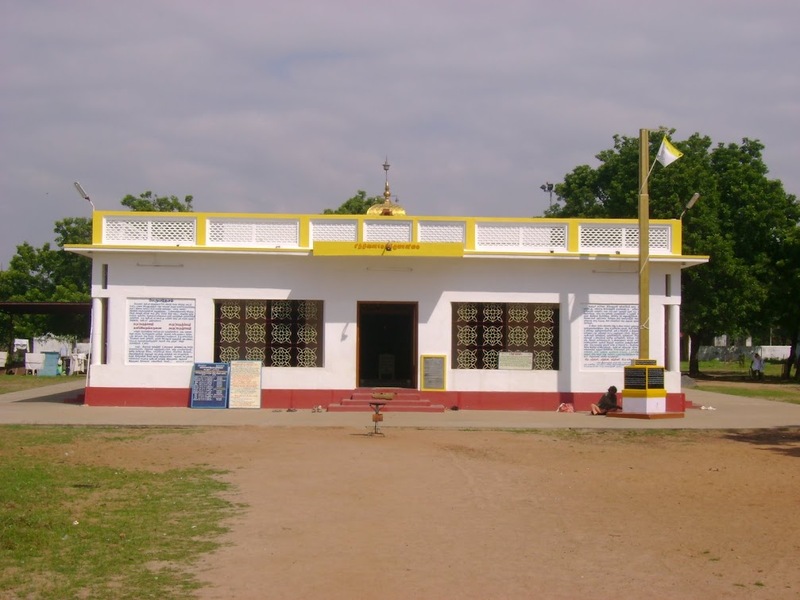 “Siddhi Valagam” or “Abode of Attainment of Adepthood”, Metukuppam, near Vadalur, Tamilnadu, South India, with the horizontally bicolored (Yellow and White) flag of Suddha Sanmargam hoisted in front of the house. Ramalingam disappeared mysteriously from a room which was locked from the outside, in accordance with his instructions, in this small house in Jan – Feb 1874. He was residing in this house when he raised the horizontally bicolored flag of Suddha Sanmargam on October 21, 1873, signalling both his own “Siddhi” or attainment of adepthood and the dawn of the epoch of Suddha Sanmargam marked by, among other things, the global attenuation and eventual dissolution of divisions based on caste, tribe, race, nationality, class, gender, and religion. 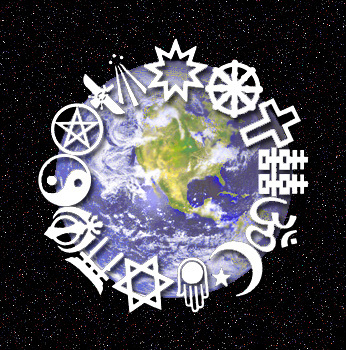 The earth encircled by religions! The subtitle of this blog is “The Way of Pure and True Theism”. This implies a distinction between pure and true theism, on the one hand, and, on the other hand, impure and false theism. This distinction is based on the fact that although the true notion that an entity, X , exists could be shared by two or more views, these views can differ from each other in their conceptions of X, or in their claims about the nature or attributes of X. And, of course, some of these conceptions or claims may be true and others false. Hence, the fact that two or more views share a true belief in the existence of X does not imply that they must all have equally true conceptions or beliefs pertaining to the nature or attributes of X. Thus, for example, the fact that Judaism, Christianity, and Islam all share the true notion that God exists is perfectly consistent with the possibility that they have different and conflicting conceptions of the nature of God. Indeed, all this is no mere possibility, but an actuality. Since these religions have some mutually conflicting conceptions of the nature or attributes of God, it follows, by virtue of the logic of contradiction, that all these conflicting conceptions cannot be equally true of God. It further follows from this truth that some of these conceptions of God must be false. Now, each of these “world religions”, namely, Judaism, or Christianity, or Islam, considered individually as a system of beliefs and practices, also contains conflicting conceptions or claims on the nature of God or ultimate reality. And, obviously, these conflicting conceptions or claims within a single religion cannot all be equally true. Some of them must be false. The logic of conjunction has an interesting implication for systems of beliefs or claims constituted by the conjunction of true and false statements. It is a logical truth that the conjunction of a false and true statement is false! For example, if it is indeed raining, but not snowing, then the conjunction “It is raining and it is snowing” is false since one of the conjoined statements is false. A conjunction of statements is true if and only if all of the conjoined statements are true. One belief or claim does not a religion make! 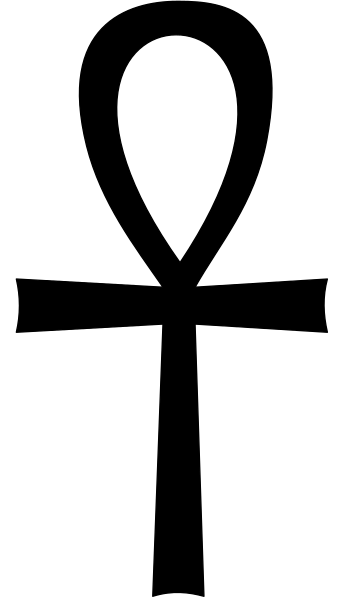 To adhere to a religion is to embrace, at least, a system of beliefs, or a conjunction of statements, or claims, central to and constitutive of that religion’s conception of ultimate reality. It follows from the logic of conjunction that even if one of the conjoined beliefs, statements, or claims is false, the whole system or conjunction of beliefs, statements, or claims is false. Hence, even if one belief, statement, or claim in the conjunction of beliefs, statements, or claims, on the nature of God or ultimate reality, which constitutes Judaism, Christianity, or Islam, or any other religion, is false, the whole system or conjunction of statements must, logically, be considered false. Of course, this does not imply that there are no true statements in the system or conjunction of statements, but that as long as there is even one false statement in it, the conjunction of statements is false. Thus, false theism is any form of theism such that the conjunction of its constitutive claims about the nature or attributes of God is false because one or more of the conjoined statements is false. False theism is also impure theism, i.e., a corrupt form of theism which contains false claims on the nature or attributes of God. This is not undermined by the fact, if it is a fact, that an instance of this form of theism contains some or many true claims on the nature or attributes of God. True theism, by contrast, consists only of true claims on the nature or attributes of God. Since there is no admixture in it of true and false claims on the nature or attributes of God, true theism is also pure theism. What does he mean by the claim that caste, religion, and the extant theological, or metaphysical, or philosophical systems of Vedanta, Siddhanta, etc., are false? A. Casteism or purported justifications of caste divisions, religions, and the extant theistic or atheistic metaphysical, philosophical, or theological systems of Vedanta, Siddhanta, Lokayata (materialism), Buddhism, Jainism, etc., contain central claims which are false. B. The systems or conjunctions of claims constituting casteism, religions, and the extant theistic or atheistic metaphysical or theological systems of Vedanta, Siddhanta, Lokayata or materialism, Buddhism, Jainism, etc., are false. Embodied immortality is the consummation of enlightenment on the path of Suddha Sanmargam. In Suddha Sanmargam, ARUTPERUMJOTHI is contemplated and worshipped as the being which confers embodied immortality on those who have attained unitive experience and realization of it. Many verses and statements by Ramalingam affirm this truth. 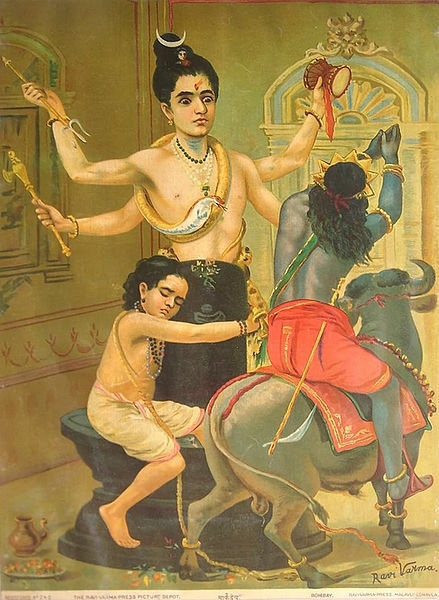 There is a Hindu legend about a boy named “Markandeya” who was destined to die at age 16. At the end of his fifteenth year, overcome by the dread of death, Markandeya sought refuge in the deity Siva and worshipped the Siva Linga, the aniconic symbol of the deity. At the appointed time, the messengers of Yama (the god of death who is depicted in the Hindu traditions as riding a water buffalo) came to sever the soul of Markendeya from his body, but were unable to accomplish this task because the youth was ceaselessly chanting Siva’s name. Lord Yama himself appeared before Markandeya and commanded the boy to cease his worship of Siva and to follow him to the abode of the dead. Markandeya refused and devotedly hugged the Siva Linga. Yama, in his arrogance, threw his noose of death over Markandeya and the Siva Linga with the intent of dragging both to the world of the dead. At this juncture, Lord Siva saved his devotee Markandeya by kicking and killing Yama, the god of death. He conferred on Markandeya the boon of immortality and of remaining forever a sixteen year old boy. Hence, in this manifestation, Siva is described as “Kalantaka”, the destroyer of death and time. This manifestation of Siva in the form of “Kalantaka” is depicted in some South Indian Siva temples, notably the temples at Chidambaram and Thirukadaiyur, Tamilnadu. In an incomparably higher way, ARUTPERUMJOTHI, the mother of all “Kalantakas”, and the One in whose presence all the godheads and the domains they command are mere straws, liberates those who have given their all, or surrendered body, mind, and soul, from the clutches of death and confers on them the benediction of blissful embodied immortality. The ultimate goal of Suddha Sanmargam is the attainment of “Siddhi” or Adepthood. Liberation from ignorance, from the bonds of desire, and so forth, is considered the ultimate goal in some religious traditions. In Suddha Sanmargam, however, such a form of liberation is but a means to the attainment of “Siddhi” or Adepthood. An essential characteristic of this state of “Siddhi”, or Adepthood, is, of course, a unitive consciousness of ARUTPERUMJOTHI. 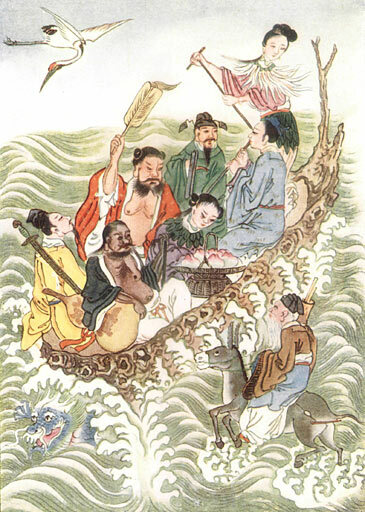 Another essential characteristic is embodied immortality, a state of embodiment free from aging, decay, pain, and death. In Suddha Sanmargam, this embodied immortality is an aspect of the completeness, or the consummation, of one’s unitive experience and realization of ARUTPERUMJOTHI. On the path of Suddha Sanmargam, the contemplation of the dread afflictions of disease, aging, and death, and the intense aspiration to transcend them is a sine qua non of eliciting the supreme compassion of ARUTPERUMJOTHI. This supreme compassion of ARUTPERUMJOTHI is the only force capable of bestowing the benediction of embodied immortality. Now, it is crucial that this ideal of embodied immortality in Suddha Sanmargam is not conflated with the ideal of “Kayasiddhi”, or the “perfection” of the human physical body, resulting in an indefinite extension of its longevity, in the Tamil Siddha traditions, and also in some Taoist traditions. The ideal of embodied immortality in Suddha Sanmargam differs from that of “Kayasiddhi” in that the former involves a transfiguration of the gross and impure elements of the human physical body into the subtle and pure elements of a supernal body of light. This supernal pure body of light is immune to pain, aging, disease, infirmity or incapacity, and death. It is invincible in the face of the assault of any of the forces, elements, and entities in the cosmos. It is not bound by the chains of the laws of nature. I will discuss Ramalingam’s observations on this supernal pure body of light and other aspects of embodied immortality in the path of Suddha Sanmargam in future posts. Although he emphasized the great importance of protecting the physical body from damage and disease and extending its longevity, Ramalingam did not subscribe to the goal of “Kayasiddhi” or the notion that the longevity of the physical body could be, or ought to be, indefinitely extended. His observations on the transfiguration of the physical body imply that it is not feasible to achieve the ideal of “Kayasiddhi”, or the immortality of the physical body, given the gross (the antonym of “subtle”) and impure nature of the material elements which constitute the human physical body and its environment. Therefore, the Tamil Siddha and Taoist ideals of “Kayasiddhi”, or the immortality of the physical body, may well be a chimera, not to mention the ultimate futility of indefinitely extending the longevity of a body subject to pains, diseases, and infirmities. As the Indian Vedantic sage Ramana Maharishi (1879- 1950) once retorted on hearing some talk of “Kayasiddhi”, the best verdict on all that talk is the fact that the physical bodies of all those who have waxed eloquent on “Kayasiddhi” eventually met with the same fate as that of the rest of humanity. In the path of Suddha Sanmargam, it is not any alchemy wrought by humans or gods, but the incomparable alchemy of ARUTPERUMJOTHI which brings about the attainment of this greatest treasure of a life without death.